The Super Moon in Aries is combined with the Mercury Retrograde which means Monday is going to be a tough day. Communications are struggling and this fiery Aries power will make us a little hotheaded. Issues that you have swept under the rug could make their way to the forefront of your mind. This will make you want to sort out an upset you’ve had with someone. It’s likely that a friend or partner has been completely out of line, yet they just can’t see it. Giving up will seem like the easier route and it’s unlikely that you’ll want to give more of your efforts. What’s the point in salvaging this relationship if they aren’t willing to? This is a week where you could be emotional, trying to figure out what went wrong. Luckily by the end of the week, it’s going to settle down. You will either both make a plan to repair the damage or you’ll just agree to disagree so you can both move on. It’s important to remember not to be a doormat just to avoid a disagreement. Don’t be afraid to stand up for yourself. Deary me, you could experience a struggle in your relationship this week. The Mercury Retrograde feels like it’s been going on for a century and it’s about time it goes away! During this time, your patience could run out and you snap at people. Is someone is treating you like a fool? As a fire sign, you might think all of a sudden, “How DARE they waste MY time?”. Flaky friends are aggravating but don’t allow others to push you over the edge. Keep a cool head and whatever you do, avoid saying things you don’t mean. Tackle the problem like an adult and talk it over. In other news, you may have been putting effort into a new partnership yet they aren’t doing the same. If you are unsure about how someone feels, don’t pressure them to dance to the beat of your drum. This extra fiery side this week could scare someone away big time so be careful. If you’re a single Aries, this Mercury Retrograde could bring up ex-partners. If this person is nothing but trouble, avoid anything more than a cup of coffee. Leading up to Christmas, the last thing you need is a heartbreak. If they are “the one that got away”, make sure you take baby steps instead of leaping. Now is the time to get going and boost your fitness routine. It may be more appealing to sleep more, but it’s time you step up. Surprisingly, a morning workout might but just what the doctor ordered. Have you ever had a huge lie in until the afternoon and then felt sluggish all day? This can actually waste a huge part of your day when it could be spent doing something positive for your body. Treat yourself to some new running shoes so that you look the part before you get on that treadmill. You’re a hard-working sign, Taurus. This means if you start enjoying exercise, you might take it a little too far and burn yourself out. Make sure you have a certain amount of time at the gym and don’t go overboard. Pushing yourself too hard will only cause problems. Build up the amount of time you work out, instead of doing two hours straight away. On another note, it’s also a good idea to rethink the way you cook meals. Are you guilty of cooking with way too much oil in your frying pan? Try steaming vegetables or cooking in a healthier way. Healthier food doesn’t mean less flavour. You will start to see the difference if you do this in combination with regular, gentle exercise. Relationships might cause big issues for you and you know what? You’re not the only one! This is a time where you might question whether a partnership is the right one for you. It’s now the time of year leading up to Christmas so it’s expected that you start to question your love life. You are a sign that is indecisive, so you’ll never know for sure whether a relationship is worth holding on to. Should you split up now or do you risk a heartbreak around New Year’s Eve? Maybe it’s just time to stop being negative! Do you really want to cut and run? Mercury is in Retrograde so don’t rush major decisions right now. Wait until the 9th October when Mercury goes direct again and everything will be clear. Once this settles, you might have an A-ha moment. Committed relationships can be scary so don’t let fear get in the way. Breathe in, breathe out and repeat. Calm yourself and wait until the confusion fades away. Avoiding this Mercury Retrograde like the plague is a good plan for an emotional sign like you. It’s been a rough year for your relationships so don’t get tangled in mixed up signals. If you want to, surround yourself with comfort at home until this all blows over on 9th October. Hey, no one will blame you for being a little hermit this week. You might end up curling up in front of your TV, watching your guilty pleasure shows. It’s ok to be lazy as long as it doesn’t take over your life. To avoid becoming bored, make sure you engage in some of your favourite activities. Have you not updated your blog for a couple of months? Write a few articles and schedule them for October. Better yet, you could make your Halloween costume! There will be a demand for fancy dress costumes in a few weeks, so now is the time to sort yours out! Allow yourself to be creative. This way, you’ll feel much better about staying in and chilling out. This week isn’t going to be an easy ride, Leo. With Mercury in Retrograde, you will find communicating with people hard work. Watch what you say to people. Without realising, you might come off heartless to the people who care about you. If a friend is trying to sort out an issue, you might end up treating them like an annoying fly you want to swat. How would this make YOU feel, Leo? Don’t sugarcoat how you feel to make them feel better but at the same time, don’t go overboard. Jumping into a boxing ring is not the attitude you should have right now. In others news, friends might be a little bored of you revisiting the same issue over and over again. Are you unhappy about your job and it’s the fourth time you’ve expressed this? Don’t you think it’s time you actually did something about it? As a fire sign, you’re great at adapting to change, so a shake up in your life could be the key to a happier future. Don’t settle for a career that’s making you miserable. Get out and upgrade in any way you can. After your birthday celebrations, it’s likely that you’ve been having a bit of a rest. You are a hardworking sign and going out every night can tire you out, no matter how young you are. This Mercury Retrograde is in your house so now is the time that you have a look at reassessing areas in your life. Have you finances taken a hit? Are you finding it difficult to make time for hobbies? Look into how you can change these areas for the better. Without even realising it, little changes could make a huge difference. Instead of rushing home on the 5pm train, find a yoga class to attend or take part in a new hobby. When we get home from work, time seems to fly by and before you know it, it’s bedtime. If your nights are filled with nothingness, you should try and change this. Giving an hour to something creative could make your days more meaningful and memorable. Now the Sun is in your sign, it’s time for you to look back at the year since your last birthday. How much have you changed and have you kicked those bad habits? During a time of reflection, it’s a great idea to note down your goals in a notebook and tick off one each month. If you believe you’re in the exact same place as last year, you should ask what you can do now to change it. Where would you like to progress? Start small and watch your life transform. In other news, the Mercury Retrograde could be challenging a close relationship. Do you back out or go head first? It might be tricky to decide because you might be receiving very mixed messages. You are not a sign to commit straight away yet with the right person, you’ll find it hard to stay away. Instead of giving up and becoming distant, wait until the 9th October. Mercury will go direct again, so don’t make any drastic moves just yet. Last week, it was all about you dodging negative influences. This week it’s time to spend more time at home instead of being a referee during a friends’ catfight. Buy some new pyjamas, record your favourite TV shows and chill out for the week. For a water sign like you, it can be difficult to stay positive when others aren’t. Being emotional is great but make sure not to let a bad atmosphere change you. It’s time to think about yourself and start doing what makes you happy instead of pleasing others. If your friends are a little disappointed that you’ve opted out of coffee this week, so be it! We all need time to recharge and when Mercury is in Retrograde, it’s best to stay away from any potential drama. By the end of the week, you’ll feel refreshed and ready to revisit your social life with a sunnier approach. This is a great time to start reflecting on your relationships and decide which have run their course. Whenever something like this comes up in horoscopes, people tend to panic. In reality, it’s nothing to get upset about. In the past, your friendship group might look a lot different to what it is now and that’s just what happens in life. People change and we all move on. There might be a friendship where you just aren’t seeing eye to eye or they might not be making an effort. It’s important that you accept the ending to something that once meant a lot to you. There’s no hard feelings, which will make it easier for you to move on. If you have a new group of friends, be careful. You could be manipulated by daring characters that will only get you into trouble. If you don’t feel safe around their crazy antics, don’t jump at their every suggestion. Your competitive side might come out in full force this week, Capricorn. Someone might come along and steal the limelight at work. Can you feel your temper rising? It’s annoying when someone sweeps in and impresses your boss while you’re working hard. Turning into a green-eyed monster will only bring a negative outcome. Being jealous is ugly and it proves that you aren’t comfortable sharing success. Do you want to be known as someone who isn’t a team player? Step back and think about how you’d feel if someone tried to throw you under a bus. It’s not nice, is it? You’re usually a down to earth sign yet you could struggle to keep your cool. Instead of battling this person, befriend them. You might be able to put your brains together in the future and produce amazing work. This could land you both in a better position at work. It’s all about finding allies, not enemies! Oopsy daisies, there are some mishaps to be had this week! This Mercury Retrograde until 9th October is making communication with others tricky. Arguments might make you blurt out something really offensive to someone you care about. You might be angry at them but calling them names is hitting below the belt. You might throw something into the mix that affects their confidence. Do you want to risk jeopardising this relationship altogether? Put a sock in it, Aquarius. Instead of fighting your corner, remind yourself that this isn’t the person you are. It’s also important that you don’t rant about them to your friends. This fabricated (and temporary) opinion of yours could change how they feel about them. In the future, they might not be too keen to even interact with your partner. All in all, it could even affect your friendships. Turning the other cheek is much more suited to your sign. This will make it easier to sit down with them and iron everything out. Don’t you wish that the Mercury Retrograde would just end already? Unfortunately, we’ll all have to wait until the 9th October. This is especially going to affect you this week, Pisces. A water sign like you is caring and upbeat yet you might experience a darker side to your personality. Are you feeling a little jealous? If your friend turns up to a party looking amazing, this could make your blood boil. Why are you feeling this way, Pisces? One of the biggest lessons we have to learn is to not compare ourselves to others. We are born different from each other, which is what makes the world great. Variety is a positive thing, so remember that trying to be someone else is a wasted effort. If you are struggling with confidence, find a way to change this without blaming others. You are your own problem but also your solution! Dig deep and choose the positive road instead. 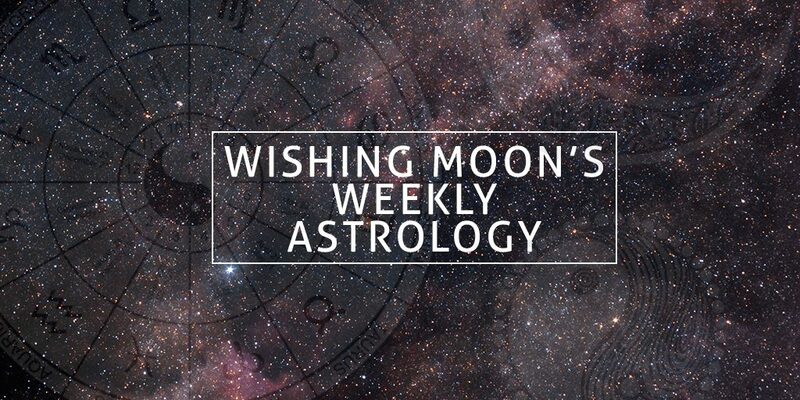 What do you think of your weekly horoscopes? Comment below and share your thoughts!